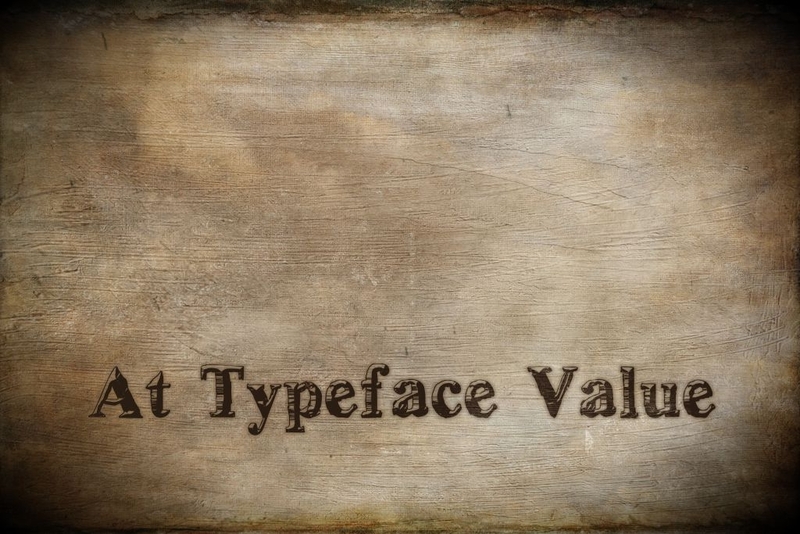 Does typeface really matter on the World Wide Web? Sure it does and here are a few reasons why. Interest – setting a mood can sometimes provide an atmosphere that compels your visitors to stay. Typeface is a huge part of interest for viewers. Style – The right font in the right situation just looks better. Aesthetics is a matter of opinion for the most part however current style trends tend to work for the masses. Basic fonts versus flamboyant fonts are both tools for the same job. Use them appropriately and watch what happens. Clarity – Sometimes clarity isn’t just the ability to read your titles. Clarity is really based on the subject at had. Mood for example can be clarified through typeface. In a lot of situations the right typeface will aide in bringing your point across. How can typeface harm your website? Here are several ways typeface can be harmful. Interest – Too busy of a font can discourage your visitors from staying. Style – The wrong font in the wrong situation can look horrible. Choosing a font for a certain situation is key to style. Clarity – A typeface that is difficult to read can hinder your ability to get your point across. How to choose the right typeface for your needs. Research the current trends for your subject matter. Look at several of your largest competition’s website for clues. Err on the side of basic. When in doubt you should always use a more simple font. Legibility is very important. Do not forget about mobile devices. Smaller screens make larger typeface hard to read. Choose a font all screen sizes can view easily. Editable text can be an issue for non system fonts. In certain situations a non system font will be substituted with a system font. It is recommended to stick with normal fonts in this situation. In the end typeface could be used to spice up your website. It could also hinder your visitors from reading important information. In either case typeface is something to consider in every situation. Mohawkhost.com is a premier webhost providing services for all of south South Jersey. If you need web design, hosting, SEO (search engine optimization), website security or any related services please call us at 856-552-0555. We provide services for Maple Shade NJ, Moorestown NJ, Cherry Hill NJ, Marlton NJ, Voorhees NJ, Mt Laurel NJ, Cinnaminson NJ, Haddonfield NJ, all of South Jersey and even nationwide. ⟵Web hosting outage will impact Google Rankings.